Years ago, Kawasaki's Nisshin-chō was known as a run-down neighborhood, full of day-laborers and flophouses—much like Osaksa's Nishinari area. But post-gentrification, Nisshin-chō has lost a lot of its crappy charm. Gone are the dilapidated tenements. Look around and you'll find shiny, new homes and buildings stretching as far as the eye can see—hold on a second! What the heck is this nasty, garbage building doing here? Is this a remnant from the neighborhood's seedy past? 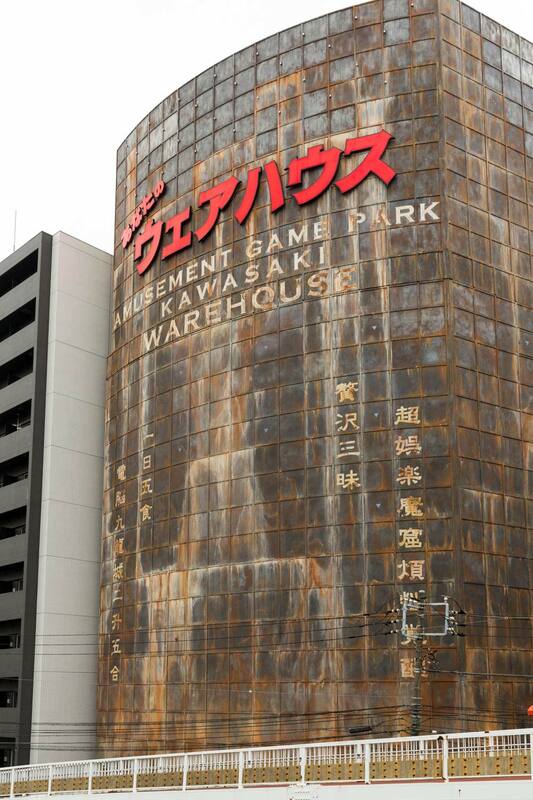 No, this rusty giant is Anata no Warehouse, a five-story entertainment complex run by the GEO Corporation. 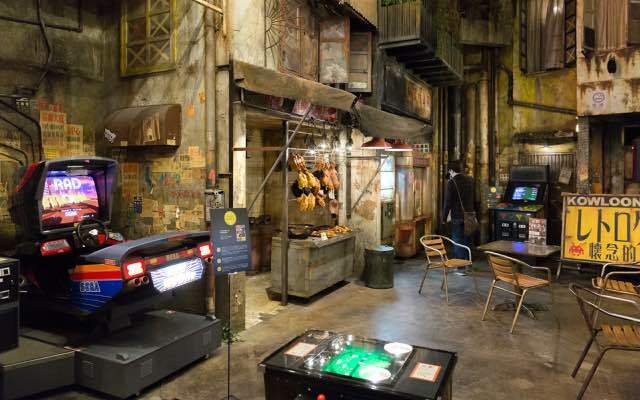 Each one of their fourteen locations has a different motif and Kawasaki's warehouse is modeled after the now-demolished Kowloon Walled City in Hong Kong. 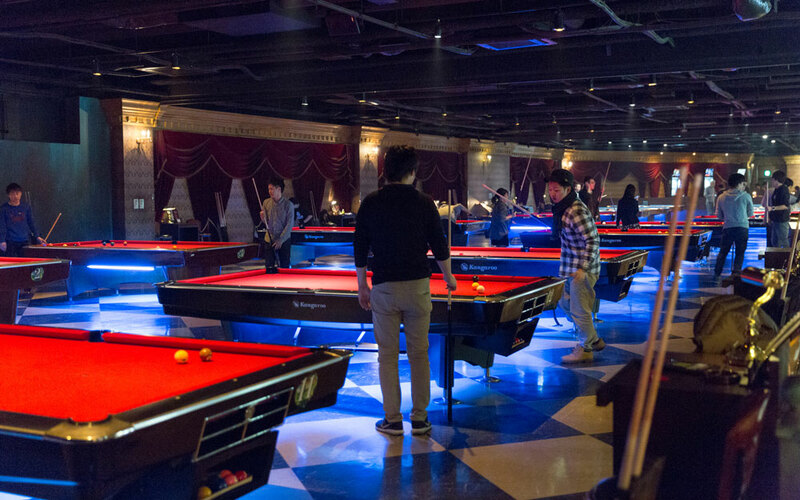 It hosts a game center, an Internet cafe, pool tables, darts, and more. We were in Kawasaki to check out a hip hotel called On the Marks, when we noticed this sore thumb screaming at us to come take a look. So we did. An interesting feature we noticed as we entered: no one under eighteen can get in. This isn't because there's anything "adult" going on at Anata no Warehouse. It just preserves the atmosphere they're trying to create. Oddly enough, there were a lot of kids in the real Kowloon, but this fantasy arcade version is kid-free. 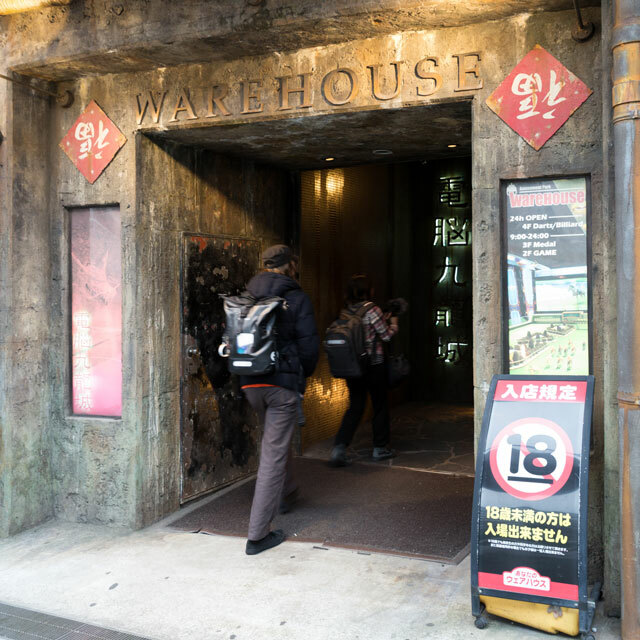 As soon as you enter Anata no Warehouse, you're immediately transported. Japan is gone—you just walked into Hong Kong gangster land. If you ever wanted to live in a John Woo movie, this is your chance. Originally, the building was a home electronics store called Kojima Denki, so the first floor is a parking garage (as you'll find in many electronics stores in Japan). From the entrance, we entered a dark corridor filled with an eerie, red light leading to an elevator. There's a second entrance, which crosses a foggy pond glowing green and white. 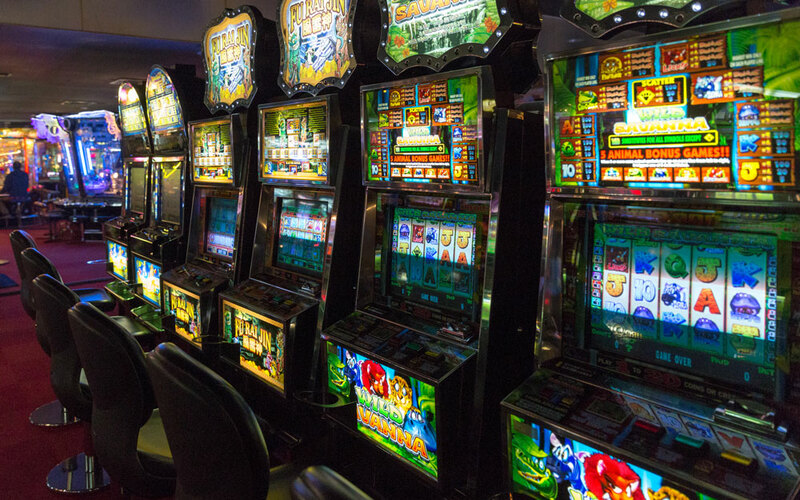 But no matter which entrance you take, you end up face-to-face with a whole mess of games. The retro game section is the most unique feature of this place by far and it was our favorite. Stepping onto the second floor, you're greeted with the glorious sounds of a raucous arcade, filled with not only the standard Japanese game center fare (rhythm games, UFO catchers, purikura, etc. ), but also classic arcade games from the 80s and 90s. But as wonderful as the games are, they won't be the first thing to catch your eye. This is the first time you realize what painstaking effort was put into making Anata no Warehouse look terrible. The elevator doors are so covered in rust, you'd think they hadn't been cleaned in decades. Broken windows, chipped paint, cracks, grime—this place has it all. 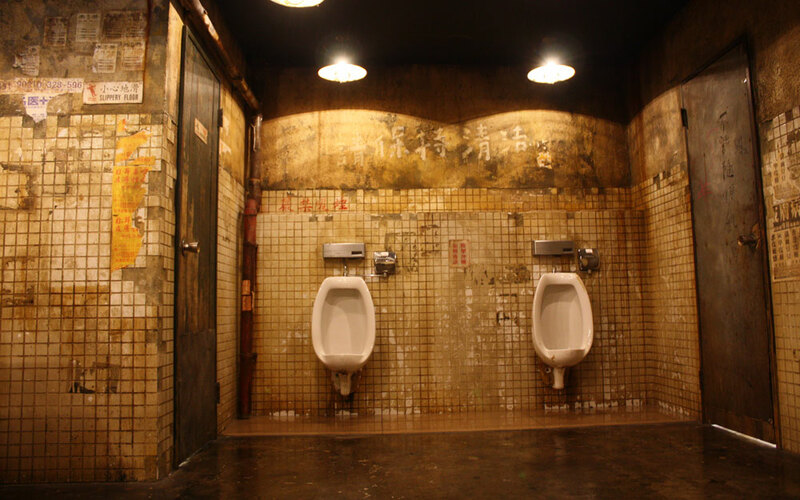 The only area I thought needed to break from the Kowloon motif was the bathrooms. They were actually clean, but the fake filth was a little too convincing for my taste. 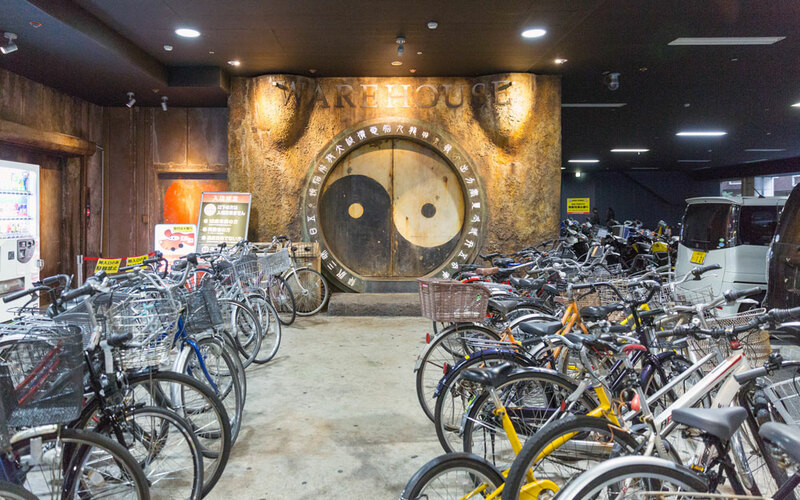 But it's this convincing interior that makes Anata no Warehouse popular for cosplay photoshoots. You can't just waltz in wearing your Kaneda costume though. You need to get permission to take photos (like we did) or come to one of the warehouse's many cosplay events. Don't forget the basket of flowers to go with your Aeris outfit. It wasn't long before we took a break from our photography mission to spend some time on video games. The retro game section is the most unique feature of this place by far and it was our favorite. The rest of the games were fine too, but you can find UFO catchers and rhythm games at any arcade in Japan. From the third floor up, the Kowloon theme disappears (and the bathrooms are much better for it). Everything feels like a Vegas casino, which makes sense—this entire floor is dedicated to medal games. For the uninitiated, medal games are like gambling, but the only prize you can win are coins that look like Chuck E. Cheese tokens. You spend money to get medals. You spend medals to win more medals. And the cycle repeats forever. No one on the Tofugu team was interested in this floor so we moved through it quickly. When we want to lose money, we do it with UFO catchers, thank you very much. 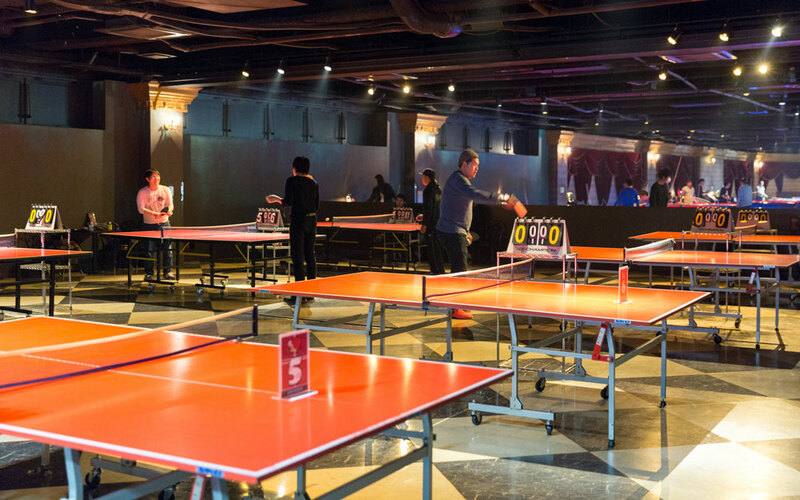 Those not interested in games of the video variety should head straight to the fourth floor, filled wall-to-wall with games like darts, table tennis, and pool. This is the perfect place to grab a beer and have fun with friends. Even though we had permission to take photos and video, some of the staff on this floor tried to stop our photo-snappin' as soon as we pulled out the cameras. The staff were incredibly polite, even when reprimanding us, which is something I appreciate. After seven hours surfing 2chan, it's a good idea to get some relief for your poor spine. The fifth and final floor is the Internet cafe where you can kick back and read your favorite webpages from the Information Superhighway. When you visit the Anata no Warehouse Internet cafe, you should enter the URL characters for this very article and read about the place you're in… while you're in that place! How droll. It's ¥300 for thirty minutes, but we didn't buy any computer time. 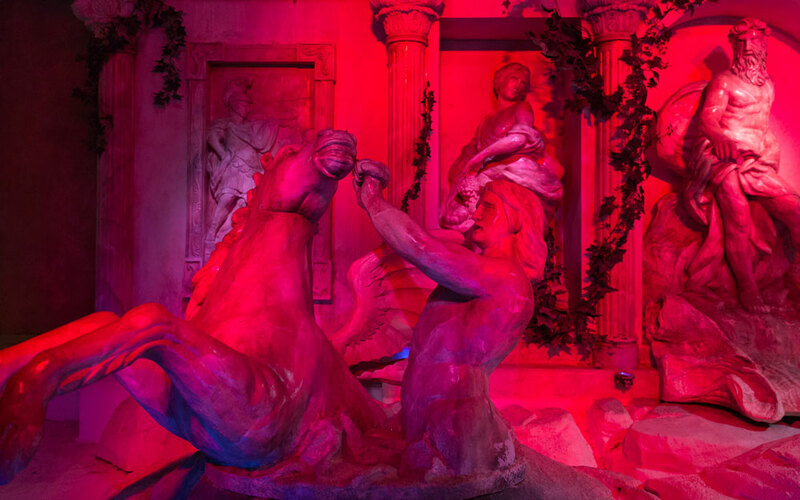 If you want to surf the web with Greek and Roman statues peeking over your shoulder, be my guest. We had pocket Wi-Fi for our Internet needs. You can even get a massage on this floor, which is smart considering the posture of the average otaku. After seven hours surfing 2chan, it's a good idea to get some relief for your poor spine. On the way back down, we stopped at the game floor again and sunk quite a bit of cash trying to win some UFO catcher prizes. Even if you just want to see the decor, the price of admission is free, so there's no harm in pretending you're an undercover cop for the Hong Kong Police Department. Just don't take it too seriously and start tailing anyone. It was a very big game arcade that has everything in it and the building decoration was well made. Was just another Japanese arcade with a Kowloon theme. I think it is worth stopping in if you happen to be walking past the place, but I wouldn’t go out of my way for it—unless you want to recreate Kowloon-style street fighting or something. It’s worth going for the retro games section, which was filled with both single and multiplayer arcade games that you won’t find anywhere else. Other than that, though, it’s a pretty regular Japanese arcade with a very dirty looking coat of paint. I mean that in a good way. I’m not going back, but it was worth a visit since we were in the area.